Accra, Dec. 3, GNA - Dr. Edward Mahama, presidential candidate of Grand Coalition, comprising the People's National Convention (PNC), Great Consolidated Popular Party (GCPP) and EGLE Party was born on April 15, 1945. A medical doctor by profession, he is an Elected Fellow of the West African College of Surgeons. He was appointed a lecturer and consultant at Korle Bu Teaching Hospital in 1990. Between 1985 and 1990 he was the director of Superior Medical Associates. From 1978 to 1990 he was a Staff Physician, Obstetrics and Gynaecology Board of Health City of Chicago. He was also a clinical Instructor in Obstetrics and Gynaecology Northwestern University. Dr Mahama was the resident obstetrics and gynaecologist of the Columbus Hospital, Chicago, from 1977 to 1980, where he rose to become the Chief Resident. From 1974 to 1976 he was the Primary Care Physician at the Baptist Medical Centre, Nalerigu in the Northern Region, where he had earlier served as a surgical trainee attached to the centre from 1973 to 1974. Dr Mahama's attended the Nalerigu Primary and Middle Schools from 1953 to 1959, Tamale Secondary School from 1961 to 1965 and the University of Ghana from 1965 to 1972 where he was awarded the MB, Ch.B. Degree. He is currently the President and Medical Director of Superior Medical Centre in Accra, Lecturer and Consultant at the Korle Bu Teaching Hospital. Dr Mahama's original party is the PNC, which was founded by the late President Hilla Limann. 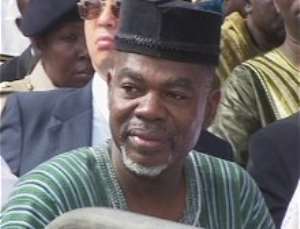 He contested the 1996 and 2000 elections on the ticket of the PNC but lost to former President Jerry Rawlings and President John Agyekum Kufuor respectively. He is married to Comfort, an American pharmacist born on November 24, 1954.